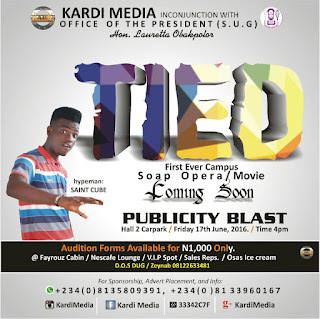 UNIBEN GIST: Publicity blast for Uniben soap Opera at Hall 2 car Park - See details! 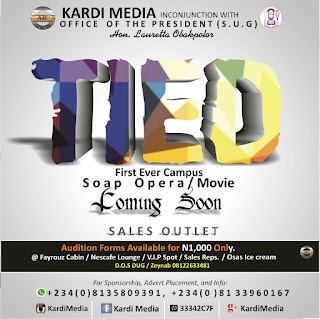 Publicity blast for Uniben soap Opera at Hall 2 car Park - See details! The Search is ON for the next SUPERSTAR! 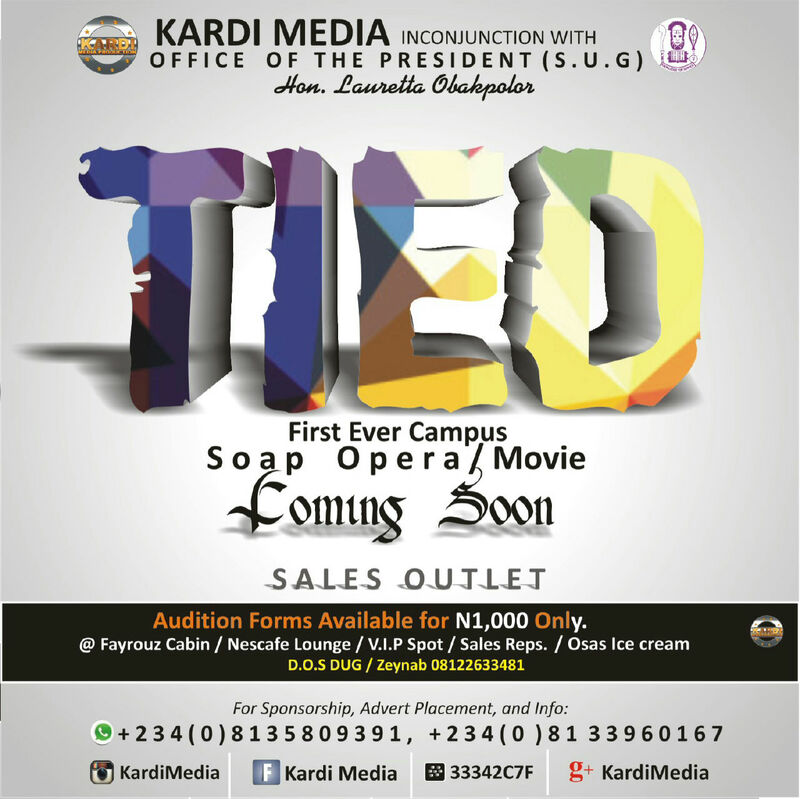 AUDITION FORMS of N1000 Only, will Be on Sale that day by Sales Reps.
Can you act? Sing? Or Dance? 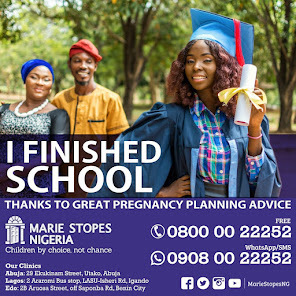 grab the opportunity to star in this First projecting Award Soap Opera Series which will tour around major universities and Tv channels in Nigeria! 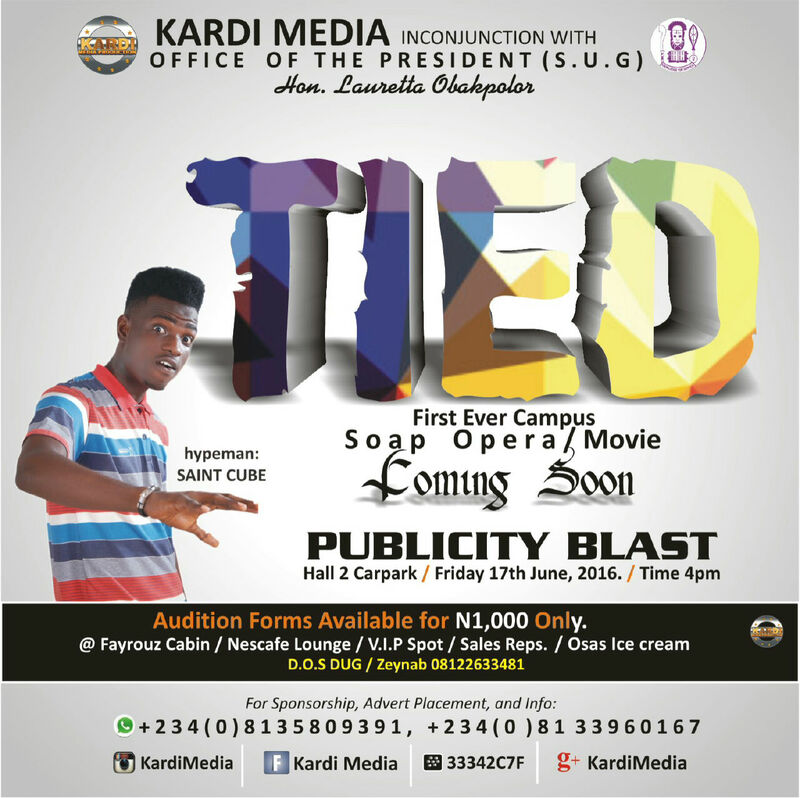 AUDITION FORMS are AVAILABLE in both Campuses (Ekenwa and Ugbowo) In the University of Benin. PUBLICITY BLAST @ Hall 2 Carpark. OSAS ICE CREAM // FAYROUZ CABIN // V.I.P SPOT // NESCAFE LOUNGE // SALES REPS.
MPIRE SALON AND SPA // NESCAFE // BEVY MULTIMEDIA COMPANY // SKYCOMBABS NIG.